One would think that some injuries are easier to diagnose than others. Broken bones and dislocated joints seem like prime examples of no-brainer injuries. There should be some major deformity or at least the x-rays would show the damage. One would think, wouldn’t one. But some parts of the body hide damage well and that brings us to the sad injury of David Johnson, running back for the Arizona Cardinals. In the third quarter of the season opener, Mr. Johnson was tackled and landed on an outstretched hand. He immediately grabbed his wrist and went to the sideline. Initial exam by the medical staff allowed him to return to the game, but on the next play, he had trouble hanging onto the ball, fumbled it and was done for the day. X-rays were done and the diagnosis was a sprained wrist. Only hours later was the final diagnosis made of a dislocated wrist. Welcome to the world of medical uncertainty. The wrist is a complicated joint. 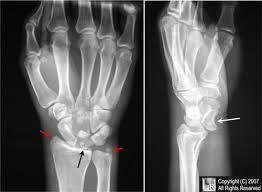 It is made up of the radius and ulna, (the bones of the forearm) and eight carpal bones aligned in two rows. Most doctors aside from orthopedic surgeons cannot name these bones without looking up an anatomy diagram. They are held in place by a complex system of ligaments: interosseous (between the bones), volar (palm) side and the dorsal (back). 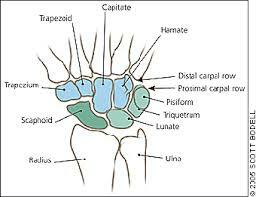 The dorsal ligaments are weaker than the volar, so falling on an outstretched hand can potentially cause the backside of the wrist to collapse, sometimes fracturing the scaphoid bone and sometimes dislocating either the lunate by itself or the capitate bone from where it rests on the lunate. The specific type of dislocation isn’t as important as appreciating that even with bones out of place, the diagnosis can be easily missed on physical exam and sometimes on plain x-ray. People fall on their hands all the time and most often, there is little damage done, except for a skinned palm and bruised pride. But if there is greater force applied like in football or a fall from height, major damage can occur. However, the initial exam can be pretty unexciting. There may perhaps be a little swelling and tenderness on the back of the wrist and perhaps a little tingling of the index and middle fingers if the median nerve is irritated. Otherwise, people may ignore the injury and seek medical care only after developing chronic wrist pain and weakness. 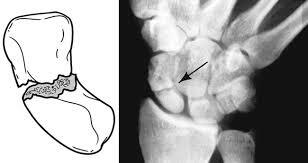 The problem arises when plain x-rays are normal or perhaps misinterpreted, since evidence for a scaphoid fracture or dislocation may be very subtle or not there at all. 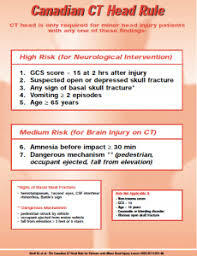 Based on mechanism of injury, physical exam and care provider gestalt, the diagnosis may be suspected and then confirmed by CT scan or MRI. 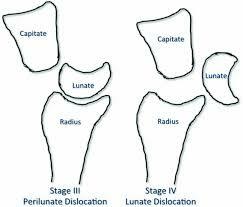 If the diagnosis is made in the acute phase, attempts at reducing the dislocation can be made at the bedside, but often these fail and the patient is taken to the operating room where an open reduction and pinning of the bones occurs. Fortunately, there is a pretty big window of a couple of weeks to make the diagnosis and treat the injury. For many, return to play occurs relatively quickly, once all is healed, but that time frame is measured in months. However, there are complications to this injury and they include, decreased wrist range of motion, decreased power in the hand, carpal tunnel syndrome from medical nerve inflammation and failure of the scaphoid or capitate bone to heal (avascular necrosis). From media reports, it’s not quite clear what happened to Mr. Johnson. 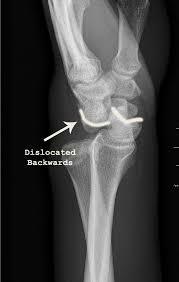 A wrist dislocation is a non-specific term and may refer to a combination of many injuries or just an isolated one. It is reasonable for him to seek second opinions regarding treatment, but this is bread and butter work for most orthopedic surgeons, especially those who specialize in hand injuries. The big deal is getting the diagnosis made in the first place.